Men’s traditional brown leather belt. This eye-catching belt is made from genuine calf leather, being soft and supple yet very durable. 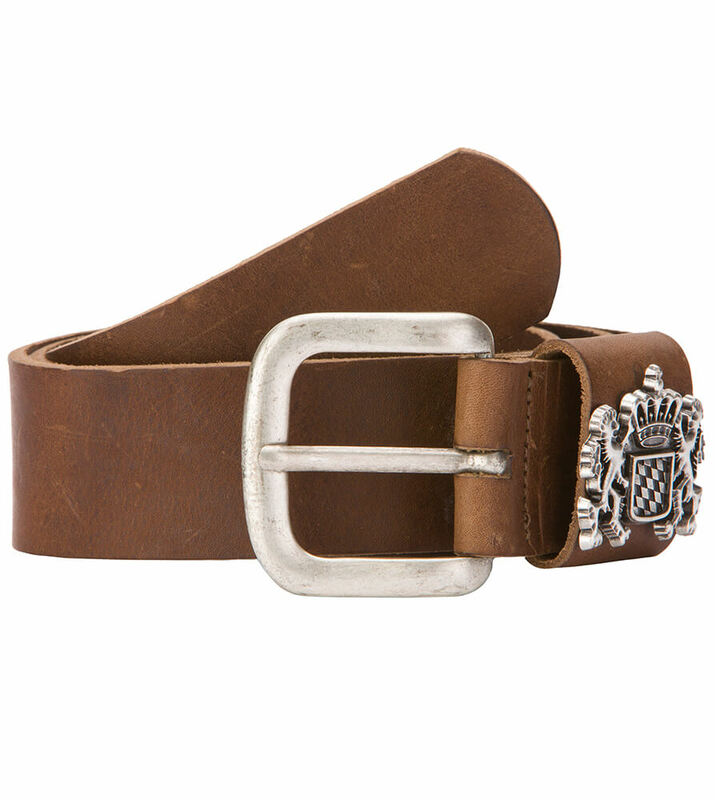 The belt is adorned with a large metal buckle that bears a traditional Bavarian design of two lions holding a shield with a large crown resting on top of it, which makes this the perfect Oktoberfest accessory.